simplest or basic form of any pure substance which cannot be broken further by any physical or chemical process. Also the elements cannot be formed/synthesised from simpler substances. Gold piece can be broken into smallest possible piece but gold element can neither be broken further nor synthesised from some other substances. So gold is an element and similarly iron, copper, silver etc. H2O (water) is not an element as it can be broken further into H (hydrogen) and O (oxygen). But oxygen and hydrogen cannot be broken further so these are elements; hence we can say that all the compounds are made up of elements. 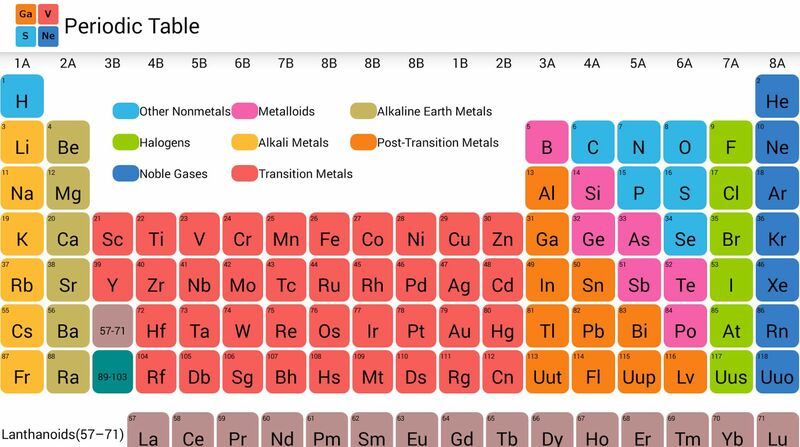 Elements are the building blocks of all matters – solids, liquids, gases. I.e. all existing things in the universe are made up of elements. Amendment – the above mentioned definition is no more valid, it is because after discovery of radioactivity it is found that elements can be broken further and also many elements have been synthesised in laboratories from simpler substances. Now elements are defined as pure substances which are made up of only one kind of atoms. As we know that there are 26 English alphabets and millions of books are written by using these alphabets. Alphabets combine to form different words which convey different meaning. Similarly scientists have discovered 118 elements which form each and every known thing in the universe. Elements combine in different ways to form different substances. Like 26 English alphabets have a fixed sequence these 118 elements are also arranged in a particular fashion based on their physical and Chemical properties, this arrangement is called as periodic table. This arrangement is as per atomic number i.e. number of protons in the elements.